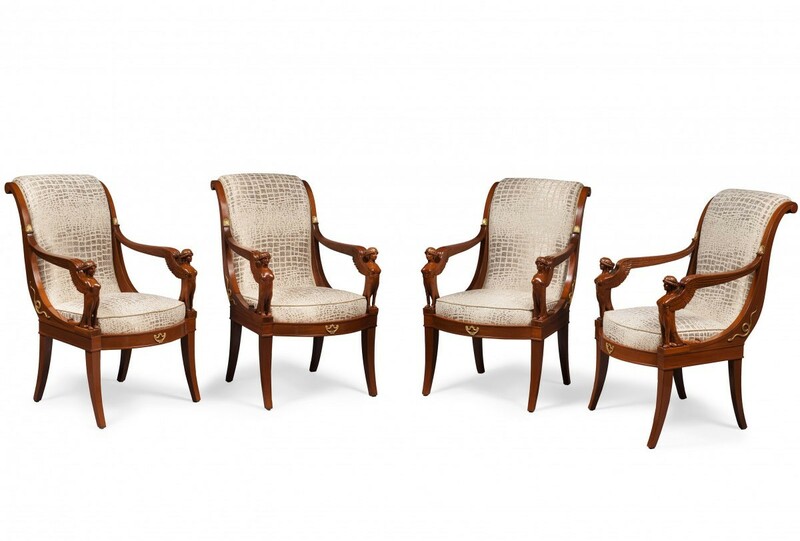 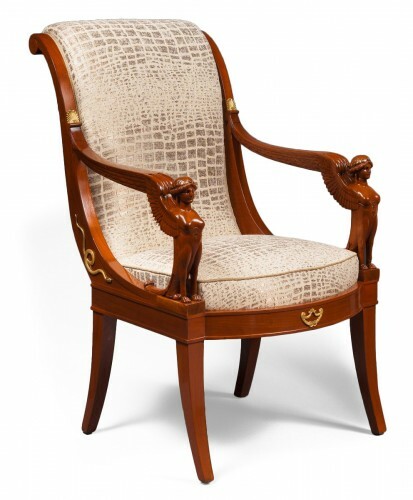 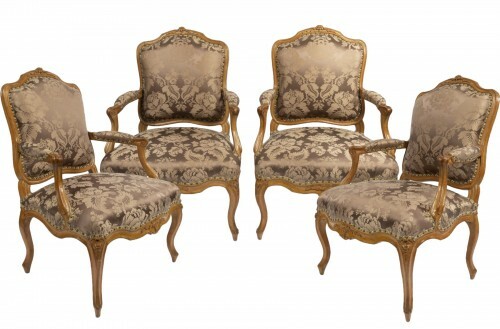 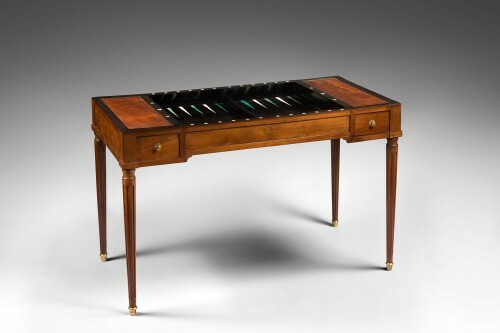 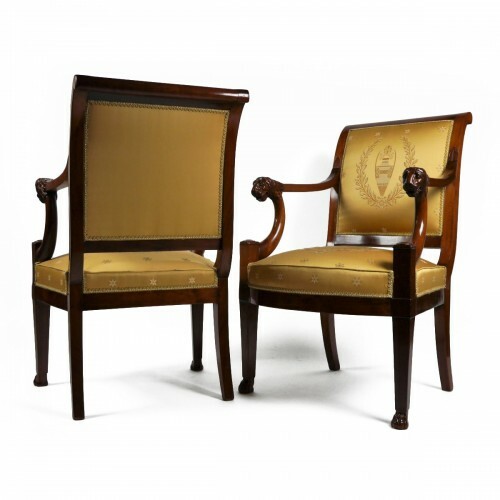 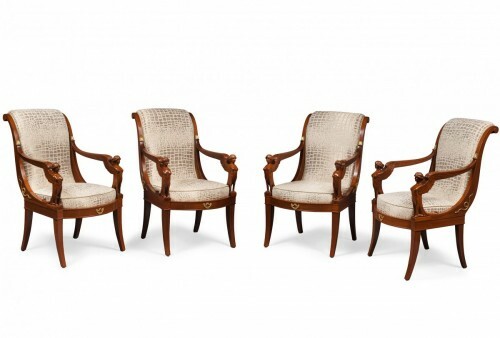 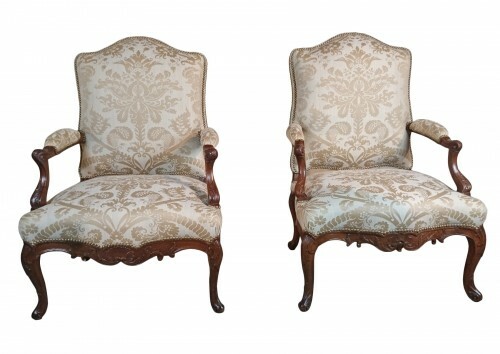 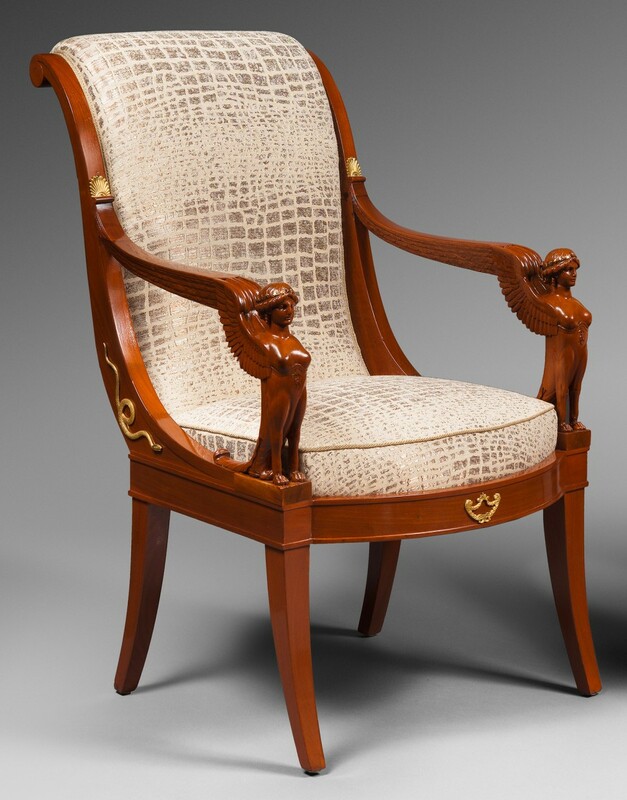 This is a suite of four scroll back mahogany armchairs “à chassis”. 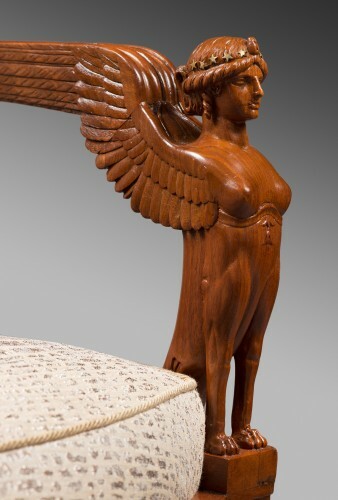 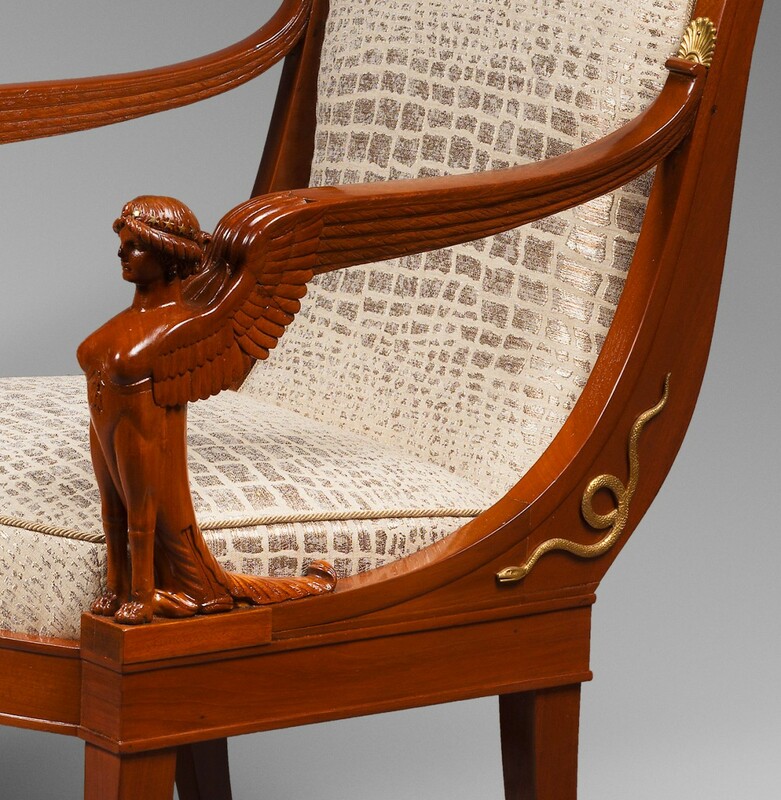 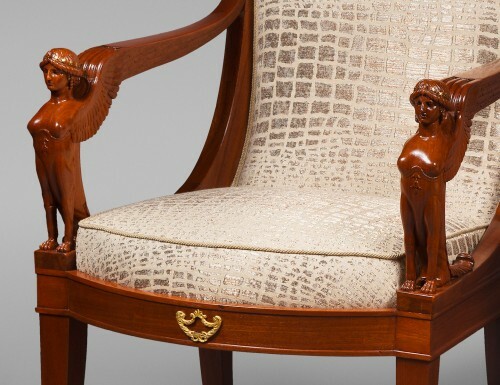 The armrests merge with the arm posts that are in the shape of a high relief sphinx figure with wings. 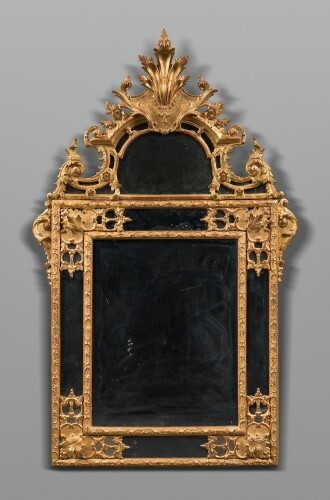 On the sides and apron of the armchair there is discreet bronze ornamentation including: snakes, palm leaves, and the profile of upright lions. 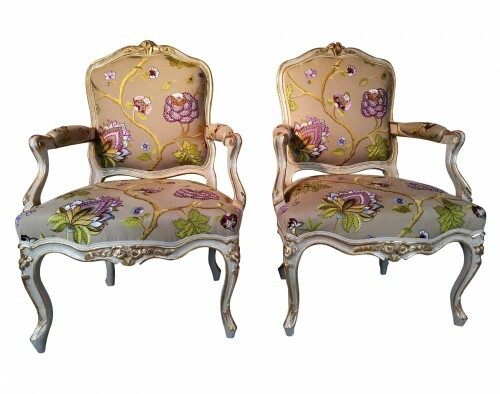 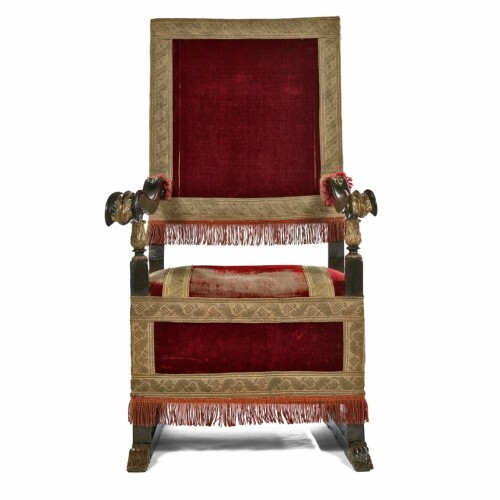 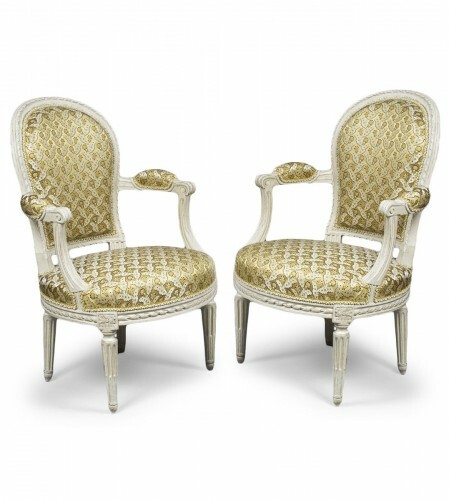 Each armchair rests on four feet that are bowed and “Etruscan style”.